Mad Hallelujah Tribe ignites dance floors worldwide with their dynamic signature sound. Innovatively weaving elements of folk, rock, medicine music, psychedelic, jam, funk, bluegrass and tribal, their unique music is delicious medicine for the soul. United by a common dream of creating epic, heartfelt songs with the power to inspire and uplift people, the Mad Hallelujah Tribe extends an invitation to dance like crazy, sing from the soul, laugh & cry, and find connection in a soulful celebration of life. 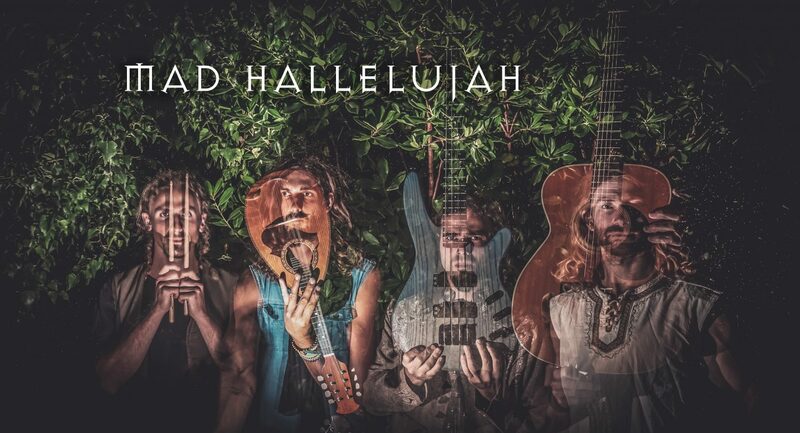 Originally formed as a collective of busking troubadours in New Zealand in 2015, the Mad Hallelujah Tribe has since released five albums, headlined festival stages, and embarked on multiple tours in Australia, New Zealand, Europe and the US. The Tribe has earned a reputation as ecstatic dance-floor creators, crafters of deep musical journeys, and crowd favorites at festivals, music clubs, and intimate venues alike.